Our pocket folders / presentation folders are a great way to hand a multitude of documents to your customers in a most professional and organized manner. Use them to organize business proposals, sample kits and more. 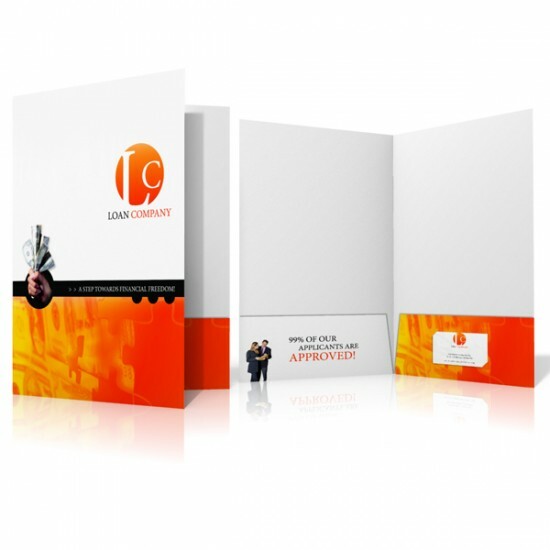 Pocket folder printing is one our specialties and we offer them at very low prices. So why not take advantage of it and introduce your company to your customers with a branded pocket folder!